From Sugar to The Entertainer, the local market is already saturated with apps that can get us deals on our favourite cafés and shops. But just like how we Singaporeans are always on the hunt for the next amazing café, it’s always worth trying out a new app that promises to ease the strain on our wallets. SoVou is that new app on the block. 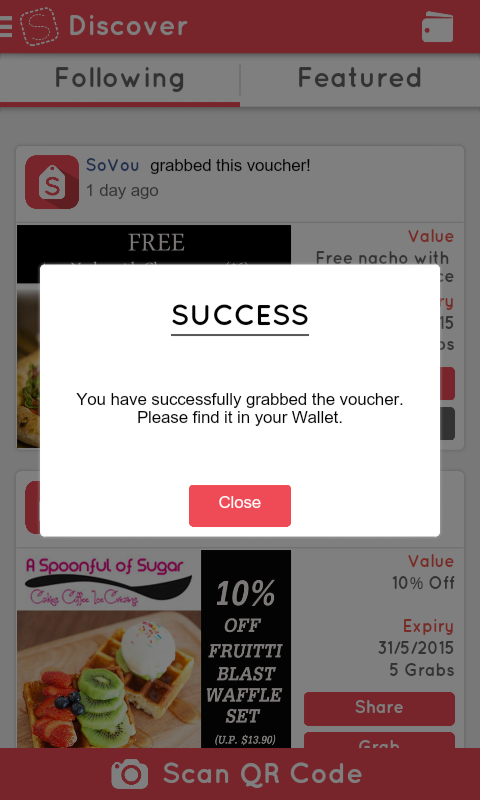 Launched on app stores two months ago, SoVou dubs itself the “social media for vouchers” — a virtual wallet that allows us to discover, claim and store vouchers on the go. Personally, I find that its appeal lies in its incredible simplicity: once I downloaded the app, there were dozens of discount-laden vouchers from all sorts of retailers up for grabs already. Instead of, say, a Sugar-style collaboration where prices are brought down by people ‘skimming’ a product, or painstakingly collecting rewards ‘chops’ by being a loyal user à la Perx, it takes a grand total of one tap to ‘grab’ a voucher on SoVou. From there, you can redeem those sweet, sweet discounts by presenting your on-screen coupon at the store. 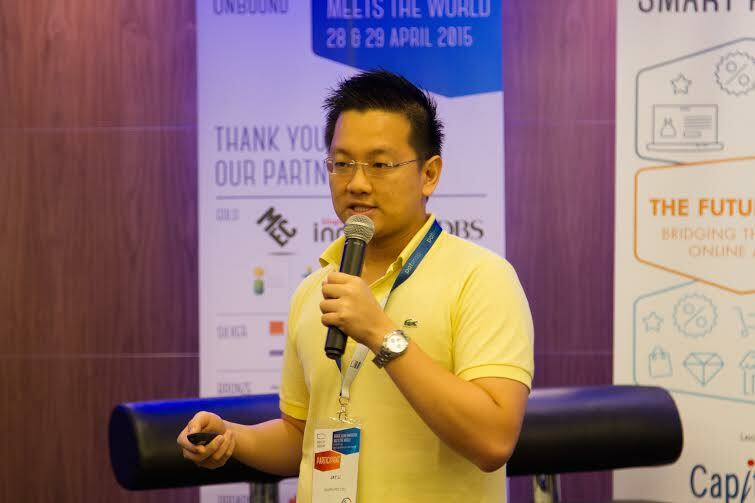 Those of us prone to forgetfulness might be nodding along as SoVou co-founder, Jay Li, relates the experience that sparked the idea behind his startup. For the 28-year-old local, the eureka moment came when he tried to use his $10 cash voucher at NTUC — only to find that it had expired. 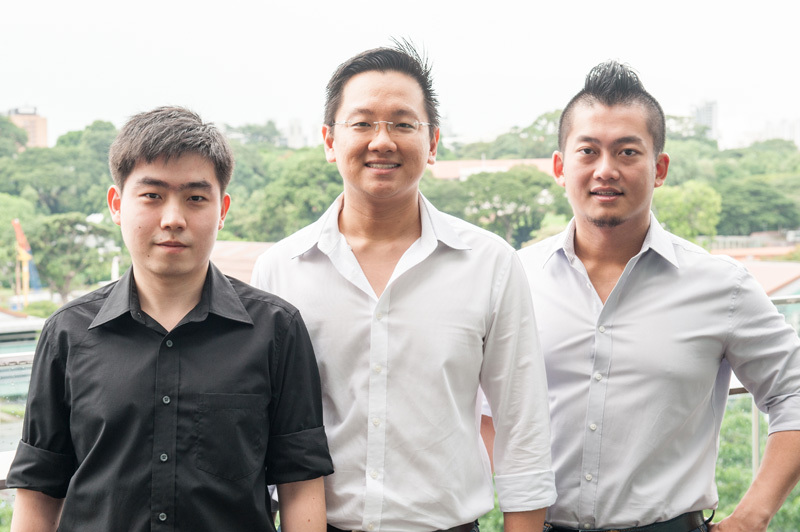 Along with two other co-founders, Eric Lin and Neo Zhi Siong, Jay set out to build SoVou. 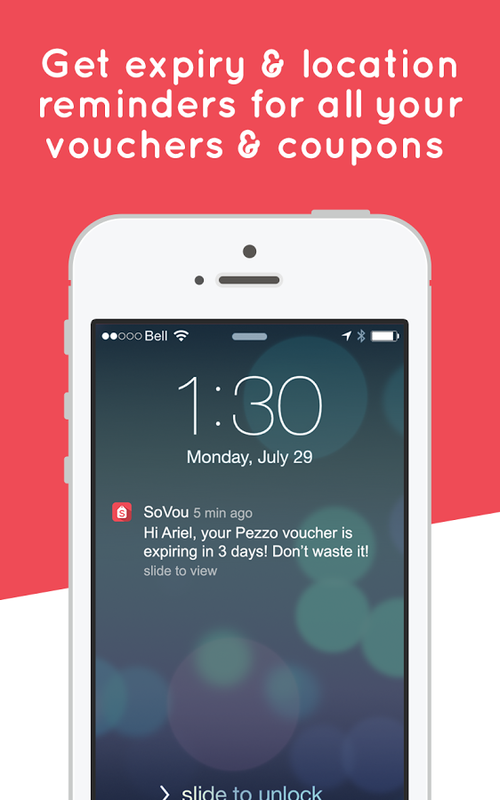 One special feature of the app is a reminder system for vouchers in your ‘wallet’: like typical coupons, vouchers from SoVou’s merchant partners are time-sensitive, and the app will notify you close to each expiry date. This eliminates all the annoyance of checking on — not to mention finding — the vouchers you’d tucked away, only to find that you can’t use them anymore. 3 Incredible Money Saving Apps Every Singaporean Needs! “Right now, we see that most of our competition have sites selling deals, or running reward programs, where the most popular or profitable deals get the limelight. SoVou officially launched in mid-March, but it’s gotten an amazing number of local retailers on board already. Currently, the app features vouchers from over fifty merchants, from leading cosmetic lens brand FreshKon to seafood restaurant Full of Crab to up-and-coming café The Daily Press. Jay also shares that an upcoming feature will be image and text recognition, allowing users to take a picture of any physical voucher for storage on SoVou. For SoVou to truly be a force to reckon with, it has a bit of catching up to do. 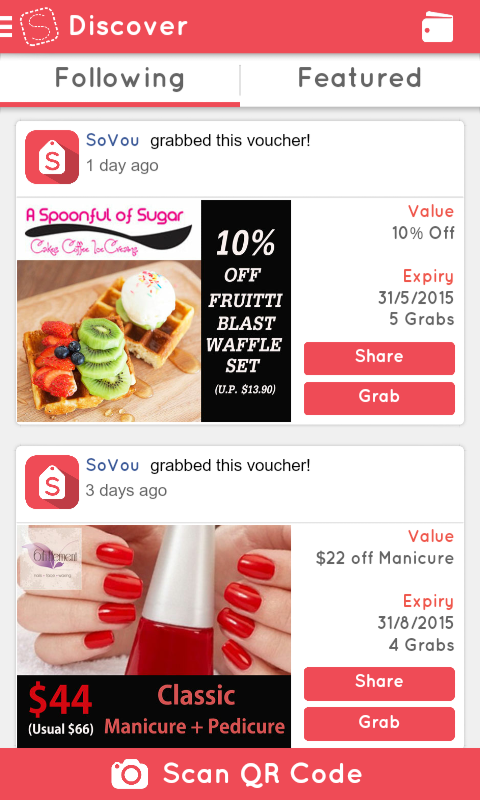 As any savvy Singaporean would know, a lot of money-saving apps have already launched in the last year or two — it’s hard to predict whether SoVou will truly take off in the competitive app market. But if it does — and as we’ve highlighted, it has a lot of amazing features going for it — the future looks promising, both for the startup and for our wallets.